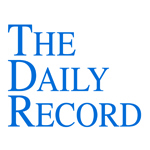 Reviews of my New Book "Cloud Computing for Lawyers"
This week's Daily Record column is entitled "New York Federal Court on the Discoverability of Social Media Evidence ." For years I’ve been asserting that social media is not a fad--it’s a phenomenon. And now, from our current vantage point, the observation that social media has infiltrated, and affects, all aspects of our culture is indisputable. But an intriguing side effect of the mass incorporation of social media into the daily lives of millions of Americans is the interesting evidentiary and discovery issues now arising in both civil and criminal cases. For example, a few months ago, I wrote about two First Department cases addressing the discoverability of social media evidence in civil cases. The first was Abrams v. Pecile, 83 A.D.3d 527 (1st Dep’t 2011), where the plaintiff filed suit seeking damages for, among other things, conversion and intentional infliction of emotional distress arising from the defendant’s alleged unauthorized possession of seminude photographs of the plaintiff. In her demand for discovery, the defendant sought access to the plaintiff’s social networking accounts. The First Department concluded that the defendant failed to show that permitting access would lead to the discovery of evidence relevant to the defense of the lawsuit. In another First Department case, Patterson v. Turner Construction Company, 2011 WL 5083155 (1st Dep’t 2011), the defendant in a personal injury lawsuit sought access to the plaintiff’s Facebook records created subsequent to the occurrence of the incident that was the basis of the lawsuit, including those that were not publicly available. The Court likened the plaintiff’s private Facebook postings to a diary and concluded that, if relevant, they were discoverable, but limited access to the Facebook data and required that the trial court first conduct an in camera review to determine if there was evidence relevant to the lawsuit. Now, as brought to my attention by Eric Turkewitz of the New York Personal Injury Law Blog, the United States District Court of the Eastern District of New York has also weighed in the discovery of social media evidence in civil lawsuits. At issue in Davids v. Novartis, CV06-0431 was whether the defendant’s motion to compel the discovery of the plaintiff’s log-in information to all of her social networking websites should be granted. Novartis alleged that the social media evidence was relevant to both the issue of damages and Davids’ claim that she suffered from osteonecrosis of the jaw. In response, Davids conceded that although her publicly available social media information was subject to discovery, Novartis had failed to show that the private data was relevant to matters at issue in the lawsuit. Thus, unfettered access to social media accounts, including information not available for public consumption, is generally discouraged unless the party seeking access has established a clear connection between the evidence expected to be found and its relevancy to the issues presented in the case. Even so, the best course of action once a lawsuit has been initiated is to advise your clients to avoid posting anything to either the private or public areas of their social media accounts that could have the potential to adversely affect the case. And, in many cases, the best advice would be to simply stop posting to social media sites entirely. After all, better safe than sorry.